Every growth story is inspiring. At PayUmoney it becomes all the more incredible when a traditional business takes the call to adopt technology & start transacting online. The growth story of Ekbote Logs & Lumbers Pvt. Ltd. stands as an example for many more offline businesses to grow online. Ekbote’s online business is powered by Shoptimize, a proud PayUmoney partner. Ekbote Furniture is one of the oldest furniture manufacturing brands in Maharashtra and has showcased impeccable quality, outstanding growth and advanced furniture styles since 1960s. They have retail outlets in Pune, Mumbai, Kolhapur, Bangalore and Chennai. What made Ekbote go online? Ekbote Furniture has been a very well established and reputed player in Maharashtra. They have proven quality, leadership in product prices also and command a premium. They fiddled around with e-commerce for six months, but not in a fully invested manner. There were two primary motivators for them to launch their online business to take on competition. The advent, preliminary success and VC interest in online only players like Urban Ladder, Pepperfry and Fab Furnish proved the fact that there is potential for home furnishing as a category to do well. Plus, Ekbote Furniture, being a manufacturer, was higher up the value chain and had the potential to do better monetarily, and this made great economic sense. How will they get payments? What happens if a customer ever asks for replacement etc.? Who will help them with E-commerce technology? PayUmoney and Shoptimize powered Ekbote’s online store. They were able to start transacting on day 1 with the pre-integrated PayUmoney payment gateway with Shoptimize. Shoptimize created a state of the art e-commerce website in terms of design and functionality to take the online only start-ups head on. They also introduced differentiated features like 360 degree rotation of products to give the end consumer an ‘in-store like’ shopping experience. Other differentiators included the introduction of a B2B sales channel where existing dealers of Ekbote Furniture would be able to act as online resellers through the same website. Ekbote’s online foray has worked well to inspire them to reduce focus on the offline channel & host exclusive products for the online channel with competitive prices. They currently spend well on online and offline marketing and plan to continue that in the future. Initial results have confirmed the fact that the revamped online strategy was right on target. 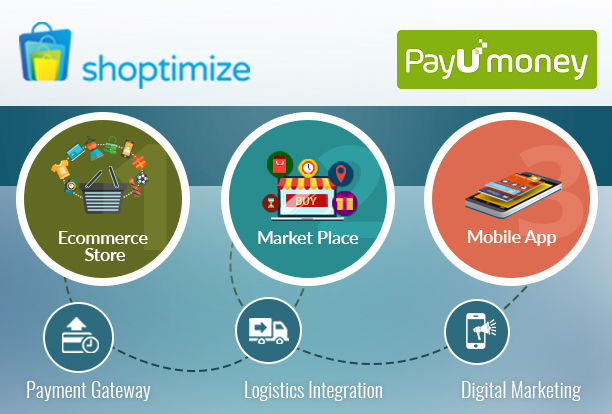 PayUmoney and Shoptimize are partners in Growth for SMEs & Startups in India. To begin your e-commerce journey now, Refer Yourself here. How can freelancers accept online payments with the PayUmoney Email Invoice?